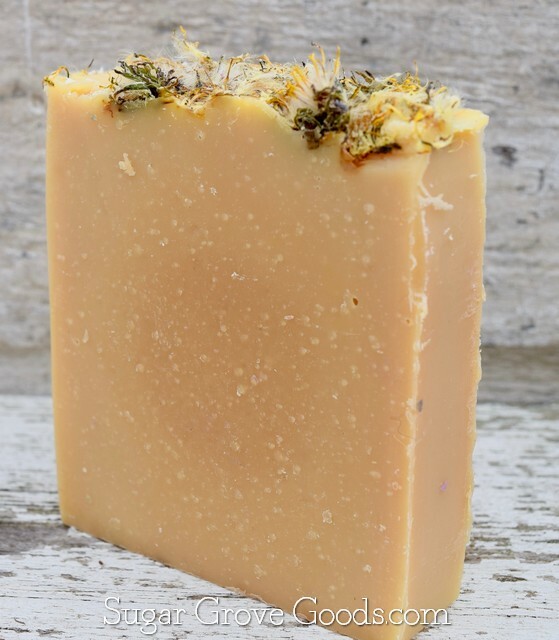 This soap has a special place in my heart since my then three-year-old daughter helped to pick the Dandelions that we used to infuse the olive oil and to sprinkle on the top. Dandelion has a delicate fragrance and a lovely creamy yellow color. A perfect, light, Springtime pick-me-up.